STEP # 8 FEBRUARY promotion: "The price is frozen! Save your money all month long!" STEP # 5 NOVEMBER promotion: "Order beige window by the price of white one. For each ordered window we will make MOSQUITO NET for FREE!" 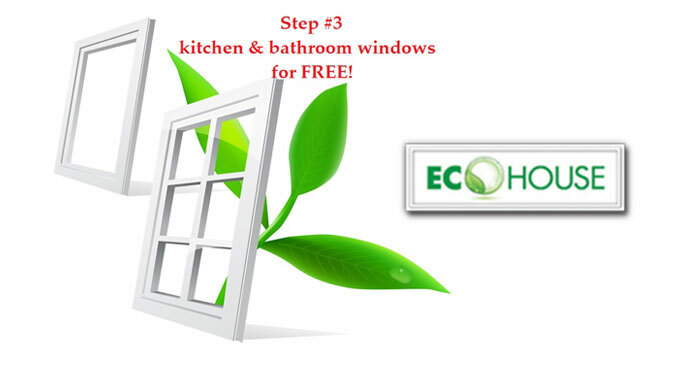 STEP # 5 NOVEMBER promotion from ECO HOUSE Egypt, Cairo: "Only in November! You can order beige window by the price of white one. For each ordered window we will make MOSQUITO NET for FREE!" STEP # 4 OCTOBER promotion "Gifts, gifts, GREAT GIFTS!" STEP # 3 SEPTEMBER promotion "WINDOW for kitchen and bathrooms as a GIFT!" 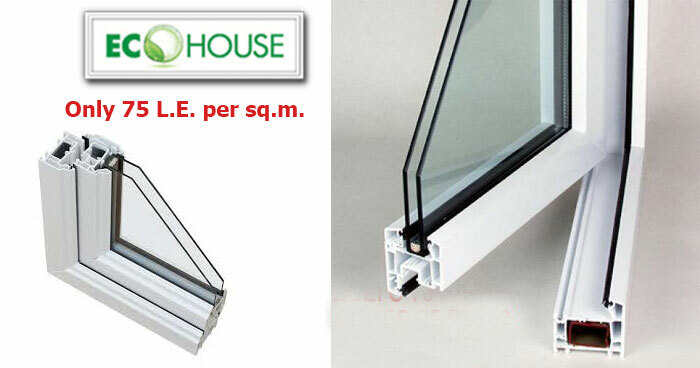 STEP # 2 AUGUST promotion: "Double Glass for half price"
STEP #1 JULY promotion: "Double glazed windows at the same price of single glass"
STEP number 1 "Double glazed windows at the same price of single glass"